Vietnam Airlines A350-900 first flight. 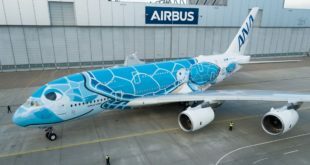 Picture courtesy Airbus. 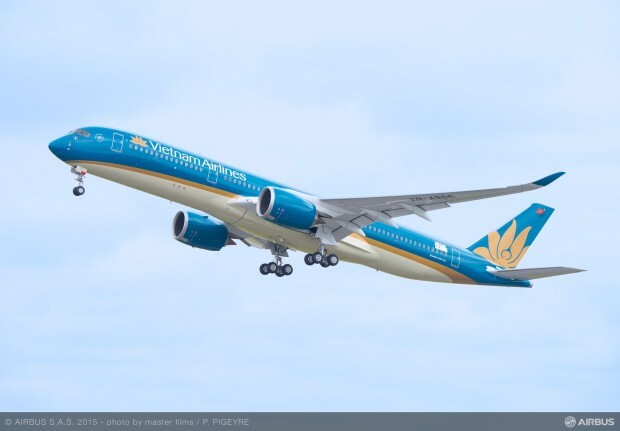 National carrier Vietnam Airlines took delivery of its first Airbus A350 XWB, thus becoming the second airline in the world, after launch customer Qatar Airways, to operate the new generation aircraft. The airline has 10 A350 on direct order with the European airframer, and four with aircraft leasing companies. At a special ceremony in Toulouse, the A350-900 was officially delivered to global lessor AerCap which has in turn leased the plane to Vietnam Airlines. With an order book of 945 Airbus aircraft, including 20 A350s, AerCap is the airframer’s largest customer. 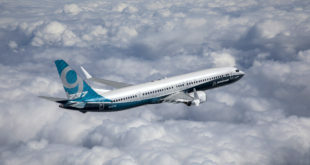 The aircraft delivered today is manufacturer serial number (MSN) 014 indicating it is the 14th airframe built, but was the fifth to be delivered. Qatar Airways is operating four A350s to destinations like Frankfurt and Singapore. The first airframes were used by Airbus for test, validation, sales promotion, and other purposes. Vietnam Airlines has configured its A350 in a three class configuration, but with no first class. Business class is 29 full flat seats, 45 seats in premium economy and 231 economy class seats. The aircraft is scheduled to arrive in the capital Hanoi tomorrow and will enter service on July 3 performing a flight from Hanoi to the financial capital of Vietnam, Ho Chi Minh City. The airline will continue operating the A350-900 on the Hanoi Ho Chi Minh City route for crew familiarisation with the new aircraft. 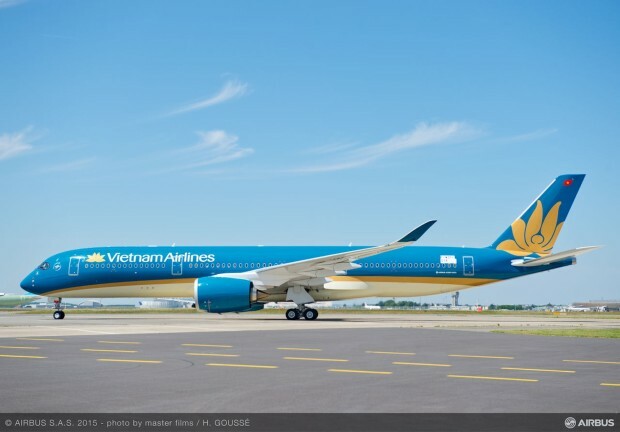 Vietnam Airlines will then deploy the A350 XWB on non-stop flights between Hanoi and Paris. 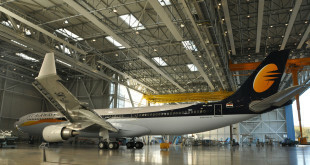 First A350 for Vietnam Airlines enters final assembly. 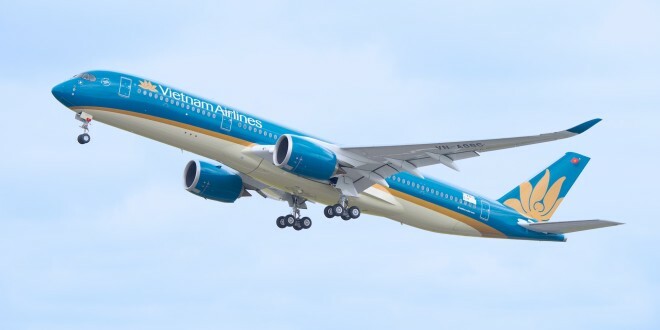 First A350-900 for Vietnam Airlines in flight. First A350-900 for Vietnam Airlines front view. 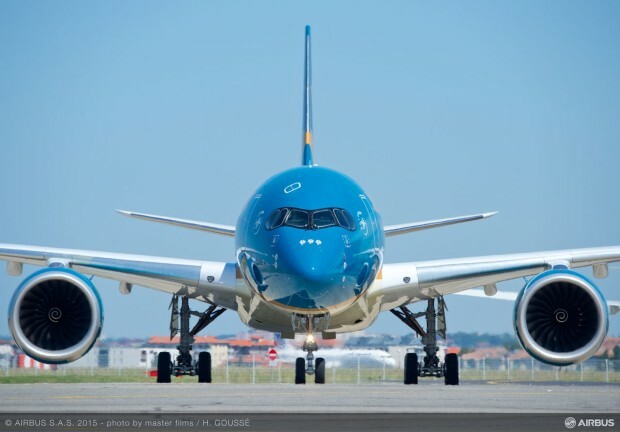 First A350-900 for Vietnam Airlines side view. The airline has one of the more beautiful liveries in the world. 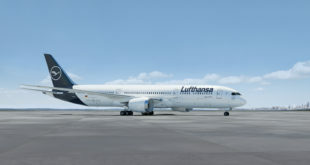 Share your favourite liveries via a comment. 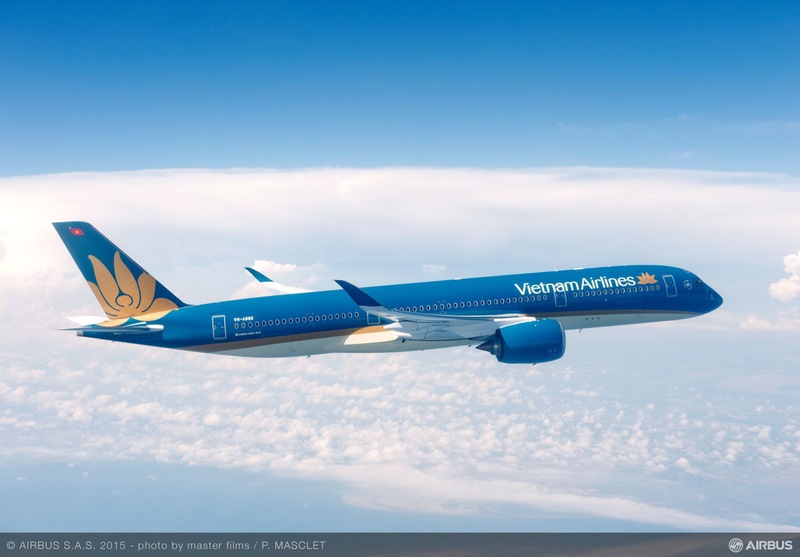 Vietnam Airlines has a fleet of 59 Airbus aircraft. 49 single aisle A321s and 10 wide-body A330s.